Zaycon Fresh has suspended business operations… we are shocked too! HURRY – For ALL Accounts! Almost gone! Chicken Breasts from Zaycon for just $.99 per Pound! Ends in a few hours! Take 20% Off Hickory Smoked Bacon and Pork Sausage Links from Zaycon! Almost gone! Chicken Breasts from Zaycon for just $.99 per Pound! HURRY – For ALL Accounts! Ends today! Take 20% Off Hickory Smoked Bacon and Pork Sausage Links from Zaycon! 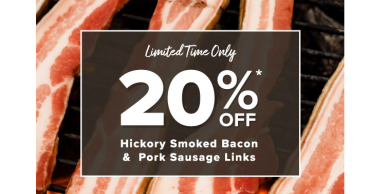 Take 20% Off Hickory Smoked Bacon and Pork Sausage Links from Zaycon! HURRY! Almost gone! Chicken Breasts from Zaycon for just $.99 per Pound! For ALL Accounts! Almost gone – hurry! 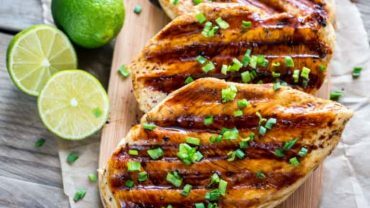 Chicken Breasts from Zaycon for just $.99 per Pound! For ALL Accounts! LAST DAY! 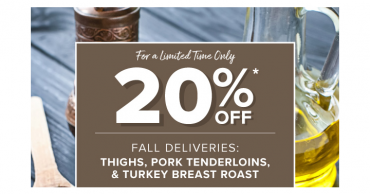 Take 20% Off Boneless Skinless Chicken Thighs, Boneless Turkey Breast Roast and Premium Pork Tenderloins from Zaycon!